Our series on places to stay outside of the park takes us from the East to the Western boundaries of Etosha National Park, which are home to a variety of accommodation establishments with easy access to the park via Andersson Gate. Whether you choose a low-budget camping trip or a no-holds-barred luxury experience, you are still assured of warm-hearted African hospitality and friendly service at all of these camps. Located in the shadow of the Ondundozonanandana Mountains in the Ongava Game Reserve, this camp lies on the southern boundary of Etosha National Park, just 2 kilometres from Andersson Gate. At Andersson’s Camp, the original farmstead has been recreated to feature private accommodations radiating outward from the original farmhouse, which serves as the social focus of the site. These unique safari tents are fashioned from a blending of wood and canvas on a foundation of half-stone walls, which lead to the bathroom with its quaint metal tubs and solar-heated showers. Nightly game drives are offered on the property, along with morning drives into Etosha. Located 10km from Andersson Gate, on the C 38 between Outjo and Okaukuejo, Etosha Safari camp is part of the highly reputed Gondwana Collection and features 50 luxurious chalets. These accommodations all have twin beds, mosquito nets, air-conditioning, a private bathroom and a small veranda. The onsite Okambasu restaurant provides exceptional service and excellent meals served in the ‘township’ dining rooms. A glowing fireplace in winter, or outside in the courtyard, the setting is unique while the Oshebeen Bar, styled like a township shebeen, is good for a laugh and a fun social evening. 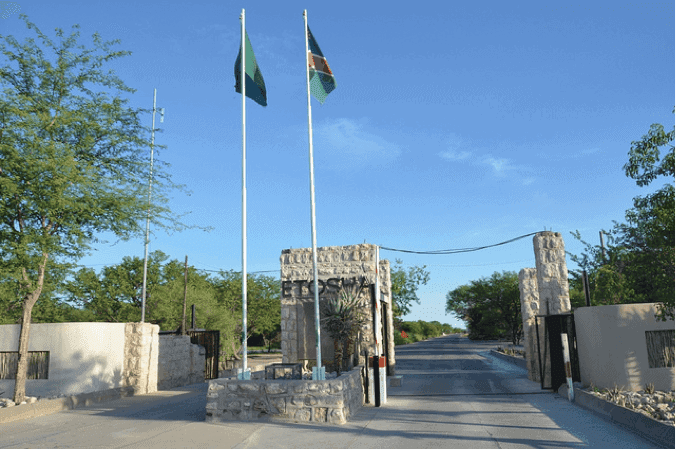 Okutala Etosha is the result of the careful refurbishment of the previous Naua Naua Lodge and is hidden on a hillside overlooking the surrounding natural bush, approximately 400km north of Windhoek and 25km south of Andersson Gate. Each furnished with a unique look and feel, the thatched accommodations provide Wi-Fi, large baths or showers and mosquito nets. There is a restaurant and bar onsite as well as a swimming pool providing a refreshing respite from the heat of summer. Here modern design and comfort merge with nature to create an environment with an undeniably African feel. Private canvas tents constructed on wooden safari decks provide air-conditioning and open-air ‘kraal-style’ bathrooms, while the restaurant dishes up delicious breakfasts, buffet dinners and lunches with the option of three different seating areas. The outdoor bar is styled like a traditional African hut for added ambience, while two swimming pools and a separate kiddies’ pool provide additional liquid entertainment. Toshari Lodge prides itself on a tranquil location 25km from Etosha National Park, just off the main road from Outjo to Okaukuejo. Both camping and lodge options are available here. The shady campsites are grassed and equipped with private ablutions, hot and cold water, fireplaces, wood and electricity points. The lodge offers 27 standard rooms, 3 family rooms and 8 luxury rooms – all equipped with mosquito nets and air-conditioning. The onsite restaurant provides nutritious Namibian cuisine, and you can enjoy a refreshing dip in the pool after your self-drive excursion into Etosha National park, or as a pleasant start to your day.